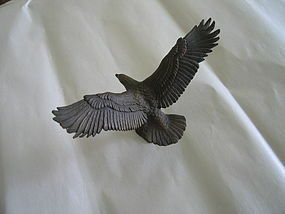 Vintage metal ( I believe it is solid brass) eagle figure. 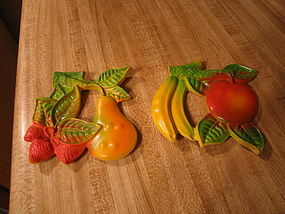 The bottom is marked as Avon 1985 Source of Fine Collectibles. The wing span is approximately 5 3/4 inches and the height is 3 3/4 inches. I could not get a detailed photo, as it has developed a lovely age related patina. 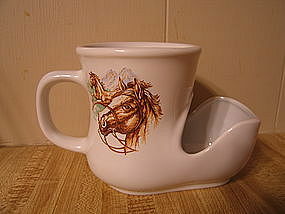 Vintage mug with king and queen of hearts design. The handle is shaped like a heart. There is manufacturing information on the bottom, but it is incised so shallow, as to be impossible to read. The height is 3 1/4 inches. No chips, cracks, breaks or rough rim, but has a tiny dark mark on the handle and several manufacturing flaws. I need your zip code to calculate the postage. Ceramic stacking cup and teapot marked as Barnies Village Solo Set Cardinal Inc. Cardinal is well known for unusual teapots. 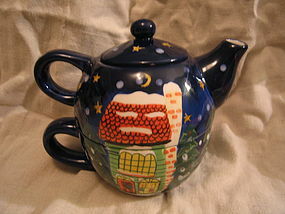 The teapot holds 12 ounces. There is no damage, but does have manufacturing flaws. The background color is cobalt blue, but it is not showing true in the photo. I need your zip code to calculate the postage. 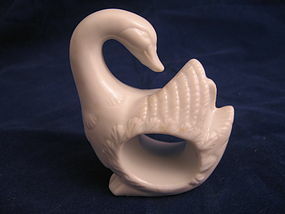 Vintage white porcelain swan napkin ring with gold foil label from Action Korea. It is approximately 3 3/4 inches in height. There is no damage. Additional photos for matching purposes available by email. Several from the original set are available and there are four different poses . I need your zip code to calculate the postage. 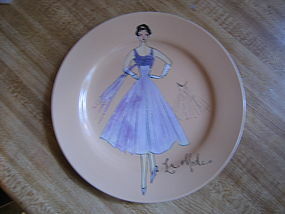 Eight inch dessert plate from four piece set marked Rosanna. Little if any sign of use. Others from the original set are available, however, they have minor manufacturing flaws and priced at $8.00 per, due to condition. I need your zip code to calculate the postage. 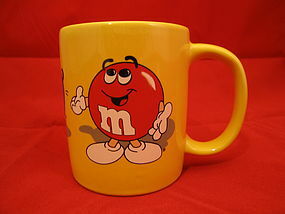 Yellow M&M mug marked Mars, 1996. 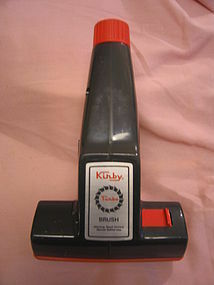 It measures 3 7/8 inches in height. There is no damage. I need your zip code to calculate the postage. 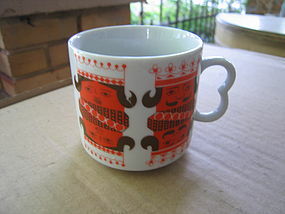 Vintage mug manufactured in Korea for Papel. It is approximately 3 1/2 inches in height. There are no chips, cracks, breaks, rough rim or loss to the finish. I need your zip code to calculate the postage. 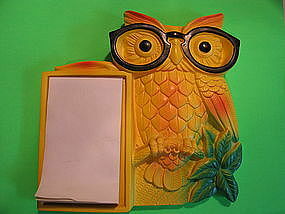 Vintage Miller Studio 1970 chalkware note holder. It measures approximately 7 x 6 1/2 inches. Has original notepad. There is a pencil written gift message on the back. 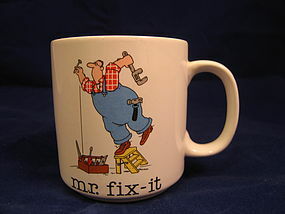 There are no chips, cracks, breaks or repairs and only has a couple of TINY dots of loss to the finish. I need your zip code to calculate the postage. It is 7 1/8 x 4 1/2 x 3 5/8 inches. There is no manufacturing information. Little sign of use, but does have manufacturing flaws. I need your zip code to calculate the postage. I am not sure of the age of this piece, but it is not new. 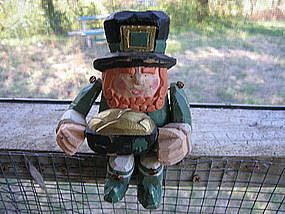 When I bought it, I thought it was a shelf-sitter, but appears to be a puppet. It does not have the strings. It measures 6 inches in height. There is some age related loss to the finish. I need your zip code to calculate the postage. 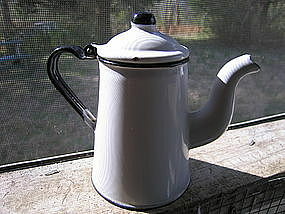 Don't know if this vintage white and black enamel pot would be called a tea pot or coffee pot. 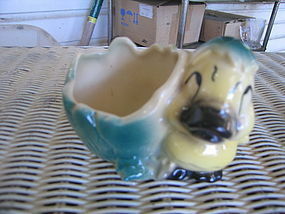 The "goose" neck spout could be either. 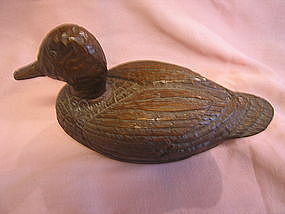 It is a tiny size measuring 5 1/2 inches in height and 3 1/2 inches across the base. The lid is hinged. There are several areas of loss to the finish. I need your zip code to calculate the postage. It is 7 8/8 inches in length. There is no damage. I need your zip code to calculate the postage. 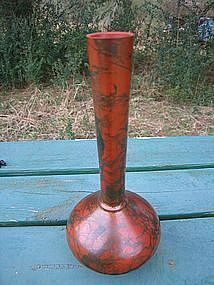 Vintage orange red enameled vase. It is a very heavy metal. The dark striations through the enameling reminds me of red jasper. The height is almost 9 inches in height. 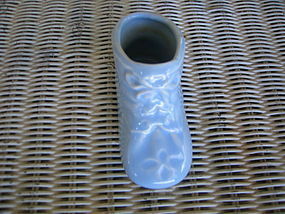 I can't read the information that is embossed in the base, but the companion dragon vase is marked as Japan. There are no dents or dings. Complete photos of vase and manufacturing information is available by email. I need your zip code to calculate the postage. They measure 2 1/4 inches in length. 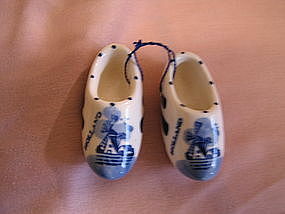 Holland is printed on the side. There is no damage. I have other sets available. I need your zip code to calculate the postage.